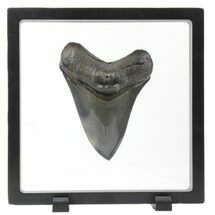 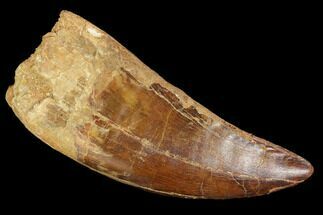 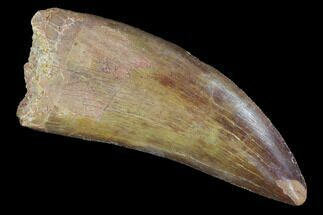 This is a serrated, .95" long Allosaurus tooth collected from our partners quarry near Dinosaur Colorado. 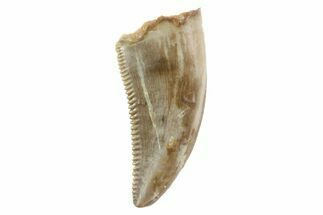 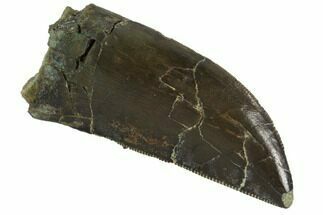 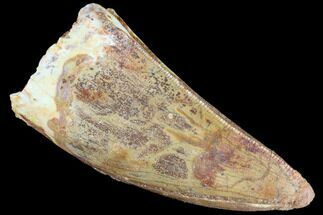 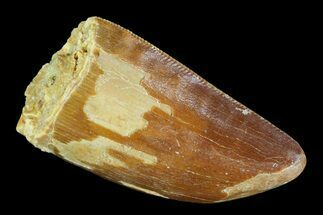 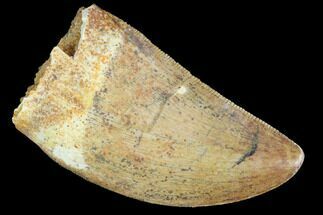 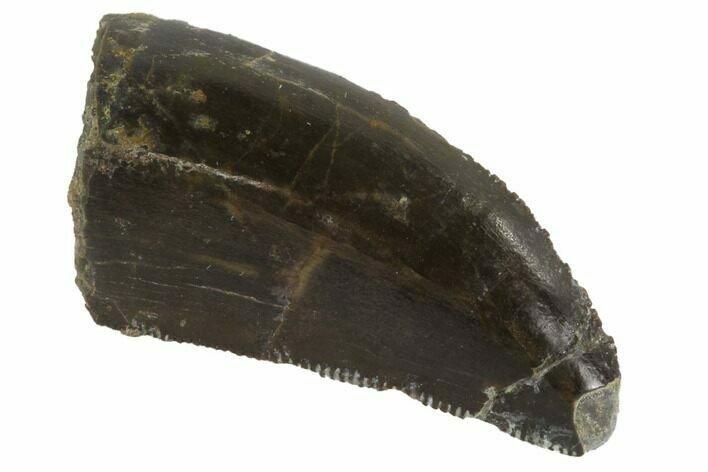 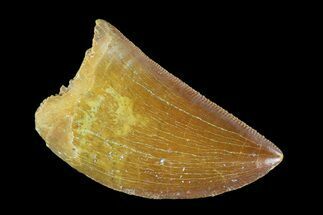 The enamel is in nice condition for most teeth from the Morrison Formation is it's nicely serrated with some feeding wear to the tip. 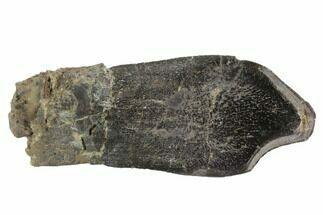 Several repaired cracks but no restoration.